Get ready for SHEER delection! Place this all in a saucepan over gentle heat now, and heat till starting to steam but not boiling. You can also add the MCT oil at this point. 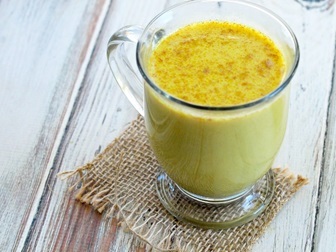 Lastly whisk or blend in the collagen, sit back and relax, and enjoy your utterly delicious Golden Milk. You now have the perfect breakfast/snack/lunch/dinner/workout drink – whatever!